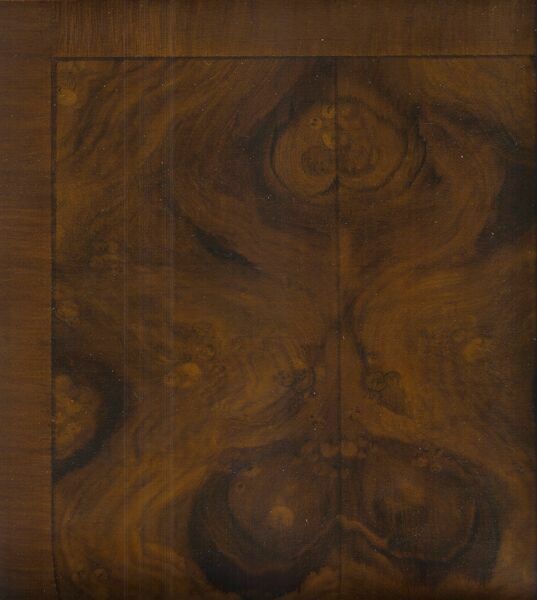 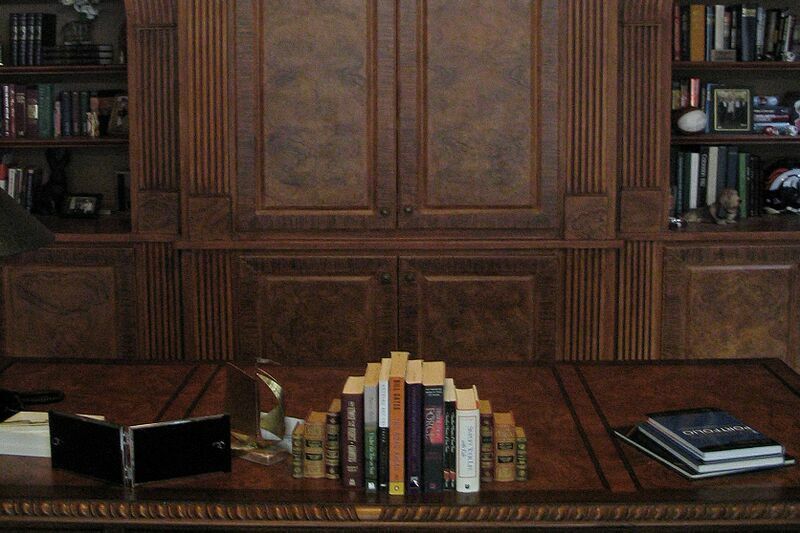 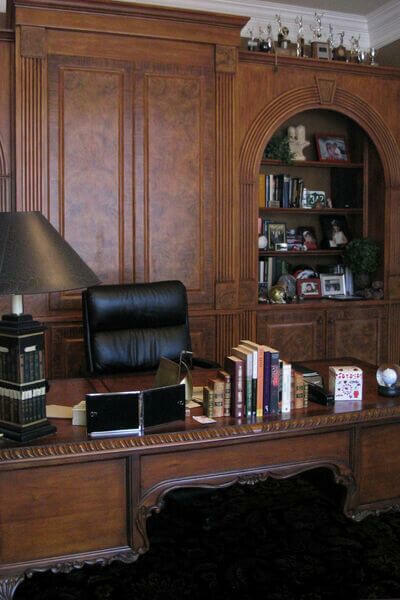 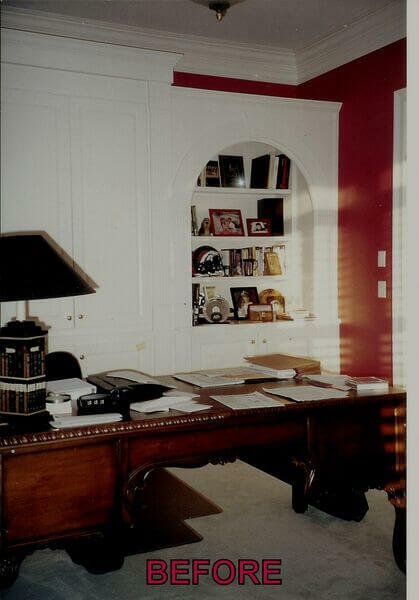 This beautiful table desk was intended to be the main feature of this study. 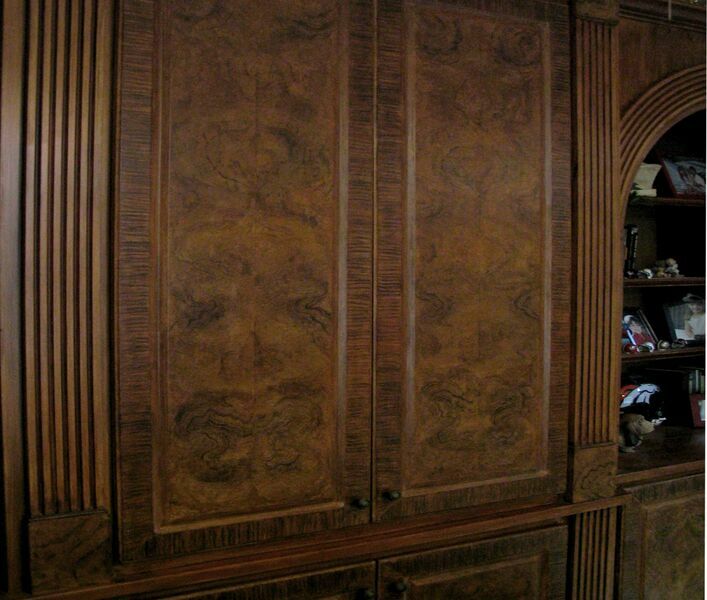 But, the harsh white cabinets overpowered the beauty of the wood and detail of the exotic wood grain. 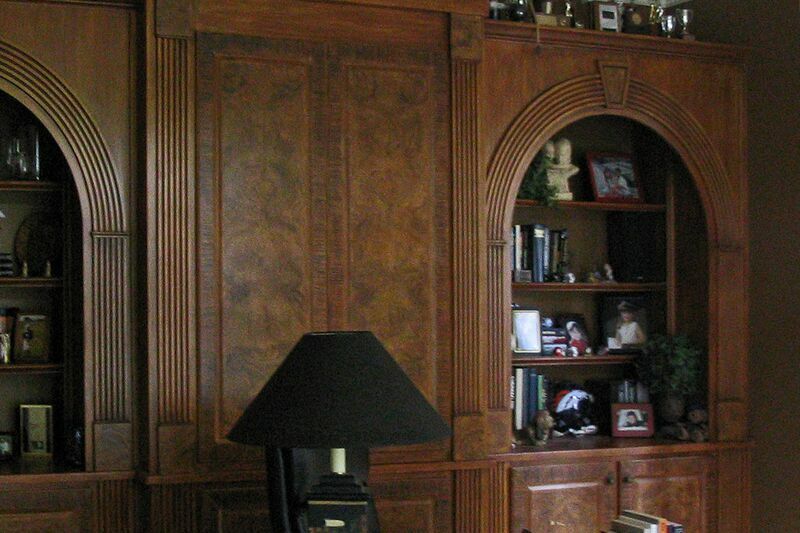 This project received the award for the Best Painted Wood Grain at the Fauxcademy of Decorative Arts. 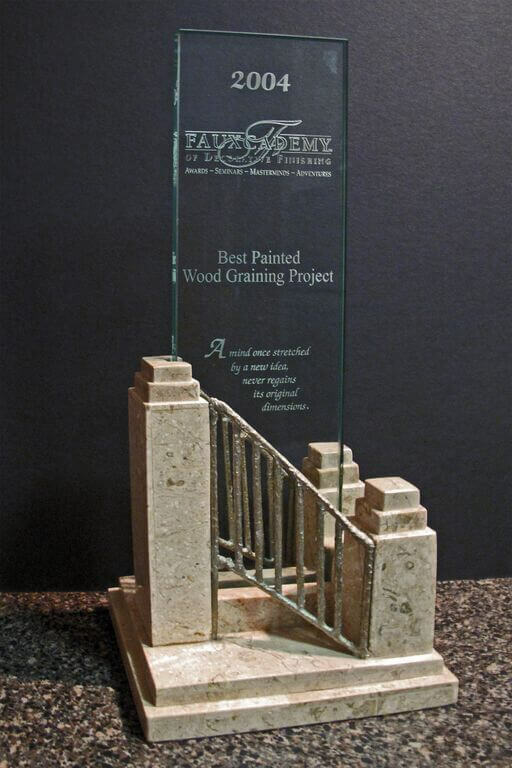 It is held in esteem for international recognition of excellence in decorative artistry and faux finishing. 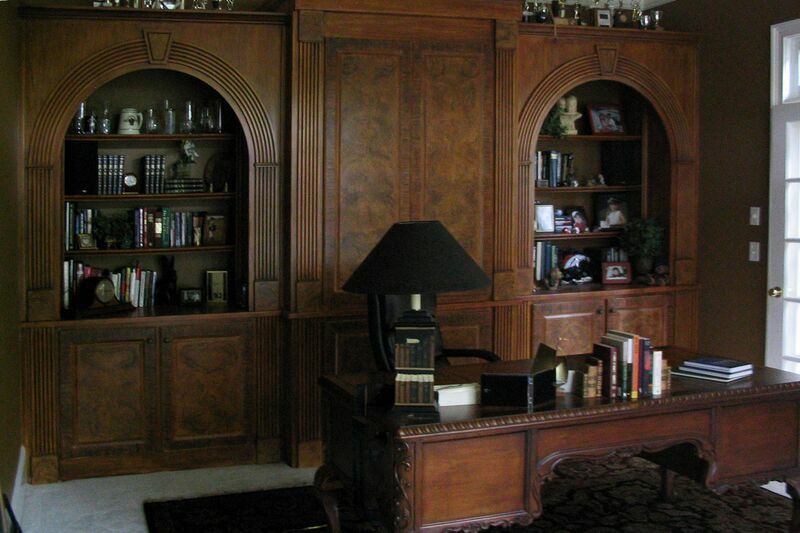 Please visit our faux finish project gallery to see more advanced finishing techniques.